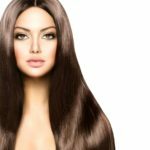 When you get your hair coloured at our salon in Exeter, your expert colour specialist will create a colour for you that suits your skin tone perfectly and enhances your best features. You’ll look healthier and more vibrant than ever. 1. Use products designed for colour treated hair. Shampoos for colour treated hair remove impurities without stripping your hair of its colour, while conditioners colour treated hair keep colour sealed in. Products for specially made for blonde hair prevent brassiness. Because colouring can make hair delicate, products for coloured hair are formulated to be extra gentle, so your hair stays shiny and healthy. 2. Don’t rinse with hot water. Hot water can open hair follicles, causing colour to escape. After you shampoo, rinse with lukewarm or cool water to hold in colour. UV light from the sun can cause fading, so protect your hair with a product that has a UV filter. Keep your hair covered when swimming in a chlorinated pool, or treat your hair with a leave-in conditioner to protect it before you dive in. 5. Use a heat protectant. Heat damage can make your hair colour turn brassy. Always use a heat protectant whenever you heat style. 6. Touch up your roots with a crayon. Hair crayons and hair mascara are a quick and easy way to hide roots without making a trip to the salon. These products wash out with shampoo, so you can easily correct an accidental colour mismatch. 7. Don’t go all one colour. To avoid demarcation lines as roots grow out, use a hair colouring technique – such as Ombre or Balayage – that looks natural as your hair grows. At The Hair Boutique, we can help you ensure that your hair colour looks fabulous from the day it’s applied until your ready next visit. Our colourists are experts in all kinds of colouring techniques, including Balayage and Ombre, and we offer a selection of products specifically formulated to make colour treated hair look its best. Make an appointment for a consultation at our Exeter city centre hair salon today.